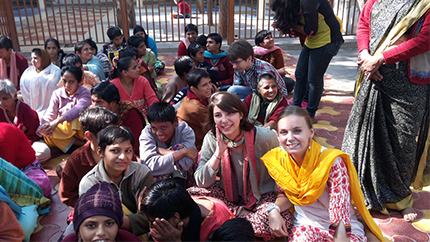 Kennedy-Lugar Youth Exchange & Study (YES) Abroad student Carolyn Weiler, currently studying in Ahmedabad, India, is January’s American Abroad Student of the Month. Having grown up in Lawrence, Kansas, Carolyn has found her time in India to be captivating, rewarding, and community oriented. She has made substantive impact by volunteering to help women and children with disabilities and to help food services reach underprivileged schools. At her host school, Carolyn has been active in Model UN, the Public Speaking Club, and cultural dance showcases. Carolyn’s eagerness to connect with others while sharing her American story has transformed her time in India to expand into something much greater than one individual.